Stephen G. Brown, editor of The Ecumenical Review, magazine published by the World Council of Churches. 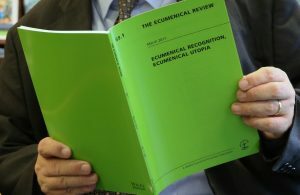 In marking its 70th anniversary this year, the World Council of Churches invites contributions to its quarterly journal, the Ecumenical Review. Submissions from students and early-career researchers and theologians are especially encouraged.